The 7765 powerfully scrubs dirt, grease and grime, as well as removes any loose debris. It will remove virtually all of the cleaning solution that it puts down, leaving your facility with a clean, dry floor surface. 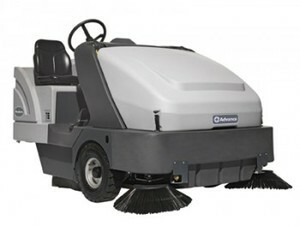 Big on performance and capacity, this true sweeper/scrubber is the answer to your toughest cleaning jobs.